This group of fish can be kept in a reef tank but care needs to be taken regarding what you put in the tank with them, as they will eat small shrimp and small fish. 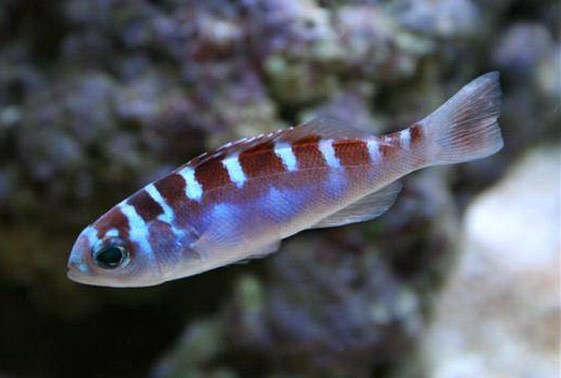 The Harlequin is the most aggressive of the group, where the Chalk Bass it the most gentle. They need a good sized tank, with 55gals being the smallest, though small ones can be kept in a 30gal tank. They usually do well together with their own kind and need rocks and hiding spaces in the tank. A good fish for a Fowlr tank.